He was Wyoming’s first-ever “big man” in the sport of basketball, and a classy All-American. At six-feet, seven-inches, Milo Komenich was one of the tallest basketball players of his era. With his beautiful pivot shots and strong tip-ins, he and fellow Hall of Famer Kenny Sailors formed an unstoppable inside-outside combination, in leading Wyoming to the 1943 NCAA Championship and mythical “World Champions”. He led the Cowboys in scoring in that world title game against National Invitational Tournament Champion St. John’s. Komenich was named a first-team All-American following that ’43 championship season. He also came up big for the Pokes in the regional championship game against Texas with 17 points. That win sent the Cowboys to the championship against Georgetown in New York’s Madison Square Garden. Wyoming’s “towering center” scored 548 points during his senior season. That total was the most ever scored by a basketball player in the Rocky Mountain region at that time. 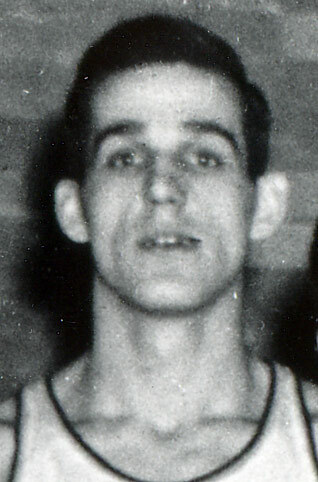 Along with teammates Kenny Sailors and Jim Weir, Komenich was selected to the all conference team following the 1943 season.